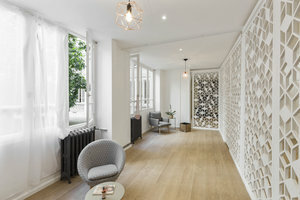 Located in the beautiful Batignolles district in Paris 17th arrondissement close to Saint-Lazare and Place des Ternes, this showroom is perfect for a Private Sale, Fashion Showroom or Product Launch. 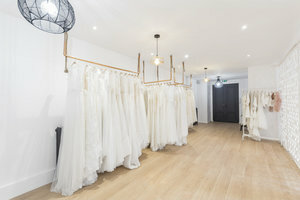 This showroom is a great opportunity and a unique space, with signature hand made fitting rooms and copper clothing racks. There is a very intimate atmosphere and the great natural light coming from the patio creates a luminous environment inside. The interior here features wood parquet floors, a kitchen and a bathroom with an Italian shower. 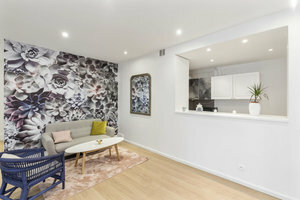 The space features extensive facilities including fitting rooms, furniture, internet an a security system and there are great amenities in the surrounding area such as bakeries, traditional French coffee shops, restaurants and public transports. Situated in a beautiful area and with a wonderful layout and features, this space is not to be missed out on. 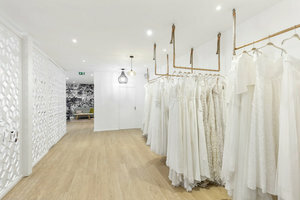 It is a great option to connect with customers via a manicured showroom.